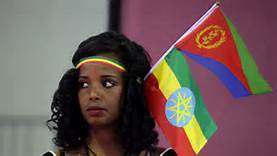 Eritrea reopens embassy in Ethiopia amid thaw in relations – Royal Times of Nigeria. Eritrea has reopened its embassy in Ethiopia in further evidence of a rapid thaw between two countries that a week ago ended two decades of military stalemate over a border war in which tens of thousands died. In a brief ceremony today, Ethiopia’s Prime Minister Abiy Ahmed and Eritrea’s President Isaias Afwerki jointly raised the Eritrean flag inside a newly refurbished embassy as a military band played Eritrea’s anthem. The leaders also toured the building and looked at its furniture and two rusting cars that belonged to Eritrea’s last ambassador. 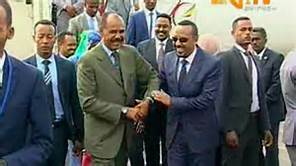 Ethiopia and Eritrea expelled each others’ envoys at the start of a 1998-2000 border war that killed around 80,000 people. Today’s embassy visit marked the end of the Eritrean leader’s three-day stay in Ethiopia that also included a visit to an industrial park and a Sunday evening dinner and concert attended by thousands of Ethiopians. Report says both countries stand a chance to benefit economically from the new reality.